We may have started the Spring Parade of Homes with a blanket of snow across the whole neighborhood, but by the final weekend, I think it’s safe to say that spring has arrived. 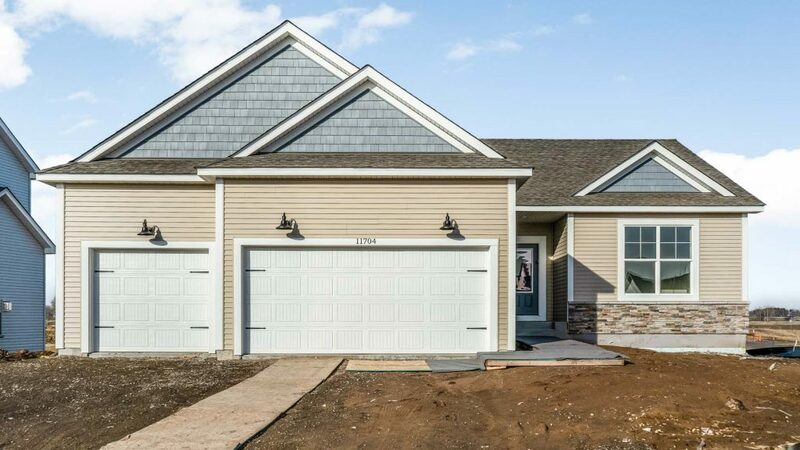 Each year the Parade gives us all a new way to look at new home construction, as well as a great reason to get out and about. The newest styles each builder brings to their homes are based on insight and experience, but it’s always down to the customer to decide what’s truly in. After spending a month in our newest model, here’s some of the feedback I kept hearing from people who stopped by. Believe it or not, I’ve had more questions about ramblers during the parade than the last few months combined. There was plenty of buyers, both young and old, looking for single level living. After this past weekend, I’m convinced that this design isn’t just for villas, many single level buyers still want a yard and a conventional neighborhood. We’ve just started our newest rambler in Easton Village, with plans for a couple more in the pipeline, for more information check our available homes page. When it comes to building a new neighborhood, most people think they must sacrifice space, but that’s not always the case. 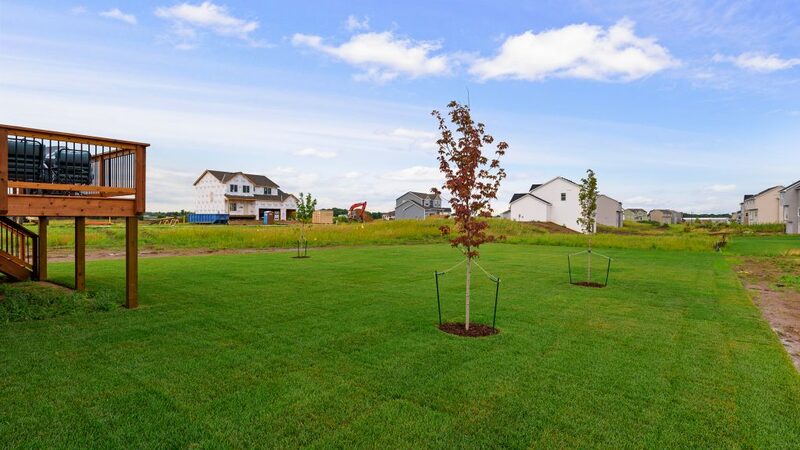 Take our parade model, for example, this double deep lot gives over a third of an acre – plenty of space for that growing family. With the newest phase of Easton Village opening up, there are a few select lots with that extra space, but hurry up, they won’t last long. For more information check our neighborhood page and select Easton Village. I’d hate to say that granite is on its way out, as plenty new home clients love are still asking for it, but there were plenty of visitors who said they’d choose Quartz over granite any day. With a variety of sleek and clean colors, Corian Quartz gives your kitchen that sophisticated pop to complement the new modern design. Even better, this sealed product resists stains, scratches, heat, and will never need to be refinished – try saying that about granite. If there’s one thing people loved about our model it was a change in the kitchen: no more white cabinets. 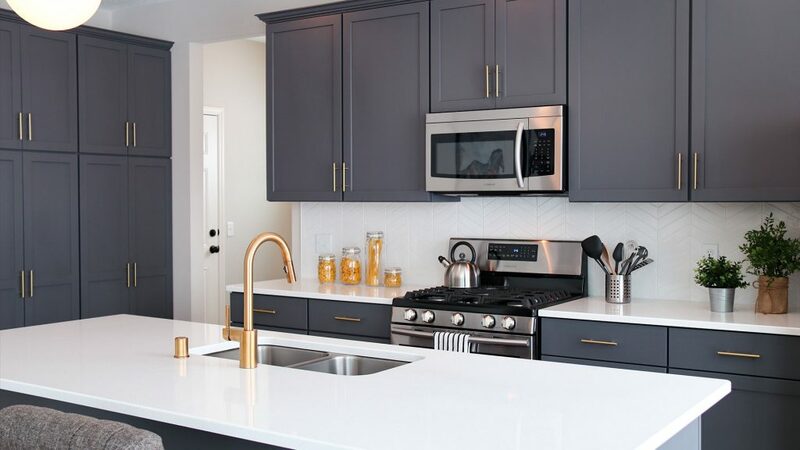 This grey color gives that clean and crisp look everyone is looking for while providing more options for finishes, like brass hardware and faucet. Even better, this color will stay cleaner for longer and won’t show all those marks that white cabinets will. With the success of this color, we here at Michael Lee Homes welcome a new way to view a kitchen, one with just a little less white.